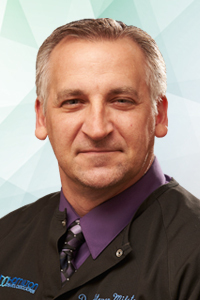 Dr. Steven Milstein earned his Bachelor’s degree from Penn State University in 1991 and completed his dental education at the University of Pennsylvania School of Dental Medicine in 1995. After finishing a General Practice Residency in Allentown, Pennsylvania at Lehigh Valley Hospital, he went on to Temple University School of Dental Medicine to complete his post-doctoral Periodontal Program in 1999. In 2004, Dr. Milstein became a Diplomate of the American Board of Periodontology. He is currently a member of the American Academy of Periodontology, the American Dental Association, the Pennsylvania Dental Association, the New Jersey Dental Association, the Mercer County Dental Society, and the Academy of Osseointegration. His clinical experience in periodontal therapies includes traditional non-surgical and surgical therapy, dental implantology and periodontal plastic surgery. Dr. Milstein and his wife Tammy, two sons, and daughter live in Montgomery County, Pennsylvania. Born and raised in the Philadelphia suburbs, he is a life-long Philadelphia sports fan. A member of the Penn State Blue Band Drumline in college, Dr. Milstein continues to play drums and pursues his other interests including, biking, exercise, and baseball.